Serving Maryland, DC & Northern Virginia for over 26 years! Has Your Roof Been Damaged by Hail? At Metropolitan Design/Build, we install doors for homeowners in Maryland, District of Columbia and Virginia. Sounds simple but, it’s really not. 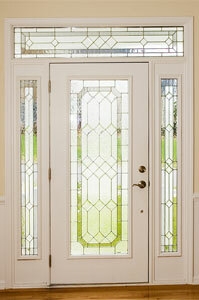 It takes a skilled experienced door installation contractor to properly install a new door or replace an existing door. The job needs to be done right. When it is, you can enjoy the security and savings of a properly installed door for many, many years. Installing a new front door on your home will not only add curb appeal but will also save money on costly heating and cooling bills. Old worn out doors don’t seal and are not made of today’s state-of-the-art materials which make new doors so energy efficient. At Metropolitan Design/Build we can assist you in choosing the proper door for your home, add windows around a doorway, or choose a door with a window in it. With the new advancements and options in doors you can do so without losing on energy costs. Security is another concern many people have about doors in their home. Metropolitan Design/Build is security-conscious and can help you secure all your entry doors in your home at an affordable price. Don’t feel unsafe in your home, call us and we can help you secure your home with new locks and doors and save money on energy costs. Doors wear out and need to be repaired and replaced over the years. Sometimes you may feel you’ve always wanted a door in a certain location, or want to add a storm door or screen door to your home. We have the ability and skill to help you with whatever your replacement door needs are. We can add French doors, replace interior doors with windowpane doors, add six-panel doors, or pull out screen doors to interior garage doors for better summertime air flow. Regardless of the type of door you require, you can rely on the experts at Metropolitan Design/Build to replace or install them quickly and professionally. We have been installing doors for homeowners in the Washington DC, Maryland and Virginia area for over 26 years! Contact us today if you need a door installed or replaced correctly at an affordable price. To schedule an estimate and/or site visit, please provide us with the following details. 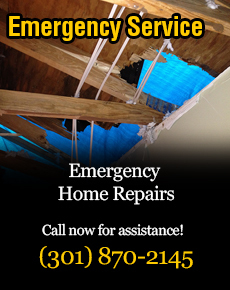 Metropolitan Design / Build offers EMERGENCY storm damage service. Call now for assistance! (301) 870-2145. Maryland (301) 870-2145 * Virginia (703) 691-9100. All rights reserved. Website Design & Marketing by Trumpet Marketing.